Are you in the mood to get fit? Classical music for exercise is a tricky one. Do you go for relentless energy and fast tempos? What about warming up and warming down? Well, don't worry - we've got the perfect list of pieces to accompany you on your workout. Right, so you've dug your trainers out from the back of the cupboard, the sun is shining and you're ready for action. 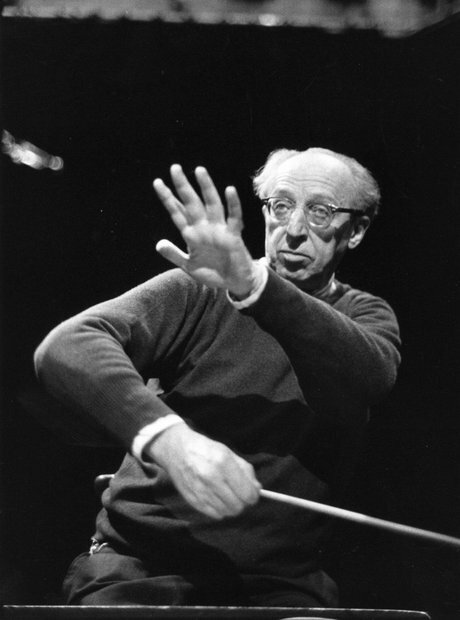 Get in the mood with Copland's 'Fanfare For The Common Man' before you take a single step - mental preparation is just as important as physical! Out of the blocks and onto the track! Well, out of the front door and onto the pavement, anyway. You can't beat Bizet for explosive energy, and this Prelude will get your adrenaline pumping from the get-go. The finale to this pulse-quickening little number is sure to get you going. Just try to forget that it's also the theme tune from The Lone Ranger. The title of this piece translates as 'On The Hunt', so you can expect some high-octane stuff. And, it being Strauss, there are some cracking tunes in there as well. Good one if you go running with the dog. Now that you're in a groove, you need something to keep the tempo high and make sure your pace doesn't slack. This Khachaturian number is a little bit fraught, but you can't argue that it's energetic and bound to keep you going. Speaking of going steady, if there's one thing the Bolero is, it's steady. You might know it from Torvill and Dean's triumphant Olympic figure skating, but try working out to it - that steady rhythm all the way through is a perfect guide. Flouncy shirts optional. Alright, this one's a bit silly unless you're skiing, but with a title like 'Pop Goes Bach' it's grabbed our attention. Not only that, it's a pretty good work-out tune too, especially for those frosty winter jogs around the park. If you're really flagging, then this is the one to perk you up again. The slow start soon gives way to some amazing positivity in the shape of cannon fire and huge orchestral volume. If you're not sprinting for your life at the end of this one, well, it's time to get off the treadmill. This is another one that starts slowly and builds to a delirious climax. The opening is actually quite doom-laden (just picture yourself lacing up your trainers), but by the time you reach the end you'll be running at top speed. Lovely stuff. The story is that John Adams was inspired by a mixture of Schoenberg and the music from Warner Bros Cartoons (hence the name, perhaps?) for this piece. Whoever he was inspired by, it resulted in a fast and furious chase-style work. Good one to warm up to, this. Probably best to ignore the fact that Berlioz wrote it about someone dreaming that they're about to be executed and who then ends up witnessing their own death, though. Mozart himself was not renowned for his physical fitness, but his music makes a strangely perfect accompaniment to a vigorous work-out. We think this particular movement is perfect for high-energy exercise, so if you're on the weights in the gym then this is the one to go for.